Matthew Burr (Beragon Betts in SL) grew up in a family of scientists and teachers, mostly in California and Oklahoma. He has a BA in Biology (with a minor degree in history) from the University of California, San Diego (UCSD). Prior to attending graduate school at Baylor College of Medicine in Houston, for a number of years Beragon was a technician in biology research labs at renown institutions including The Salk Institute, Harvard, and MIT. At age 19, he presented the laboratory’s work on one of the first identifications of an oncogene from MIT at an international scientific conference. Worried about making a living as a working academic scientist, Beragon left his grad school PhD. program at BCM and went to law school. Last refuge of a scoundrel! He has been a patent attorney in Texas for 23 years working mostly with entrepreneurs and business startups. Beragon has a cat, Poppy, and is devoted to Mystery Science Theater 3000 and Star Trek. 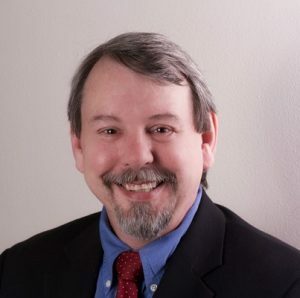 Podcast Episode 014: Host/Producer: Steven R. Van Hook, PhD – Guest: Retired educator Budd Turner and patent attorney Matthew Burr discuss ways to protect your digital postings and creations, and help your works be properly passed on.